Environmental Clothing always draws a suspicious look when raised. It conjures images of bearded hippies, hugging trees and playing bongo drums – nothing wrong with all of that; I grow a beard occassionally, admire trees and like hitting the drum set – does that make me any lesser or odder than anyone else? Eco friendly clothing also smacks, in the public’s perception of low quality, bland coloured, ill fitting, badly shaped and unfashionable garments. This isn’t exactly a reat selling point but let’s consider how quickly the clothing industry and promotional products market has evolved over the last decade….and the change has been seismic! Not only have some of the top fashion designers jumped in feet first to create really outstanding items, the manufacturers have also jumped on board and marketers are currently devising ways to reflect all the positives in environmental clothing and how best to sell to the public. And what of Joe Public, how does he really regard eco clothing? Is he that fussed whether his tshirt is made of hemp or cotton? Is he driven, in part, by an environmental conscience? Does the embedded energy and clothing’s carbon footprint influence decision making? In theory, he cares about all the aforementioned but rarely gets an opportunity to put that into practice – all the main retail outlets sell mass produced clothing where the bottom line is the biggest influencer. Clothing is now cheaper than any time before – we throw clothes out when previous generations would’ve held onto them longer, handed them down, re-used than as rags, pet bedding etc. Our society is wasteful and we should all have a conscience, strive to lessen the effect we are having on the planet – it’s an example our children deserve. It’s still not economically possible to mass produce environmental clothing at low lost but we can carbon offset as much as possible by investing in planting schedules. 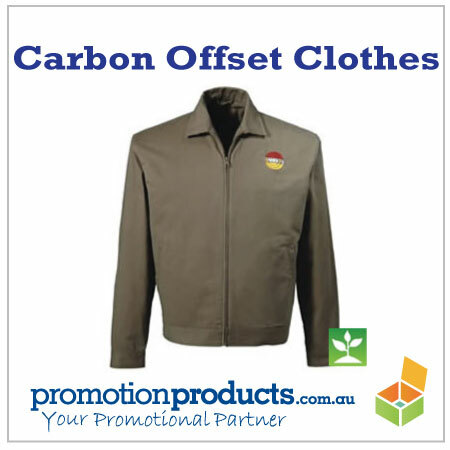 All the products you will find here have a carbon offset built into their pricing. They’re also brandable, embroidered clothing which are great for promoting your business. It’s a great way to reach out to Joe Public and says a lot about your business, about what drives you and your scruples. This entry was posted in business gifts, Outdoor Products, promotional clothing and tagged clothing, embroidery, enviro, relationships by admin. Bookmark the permalink.